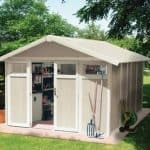 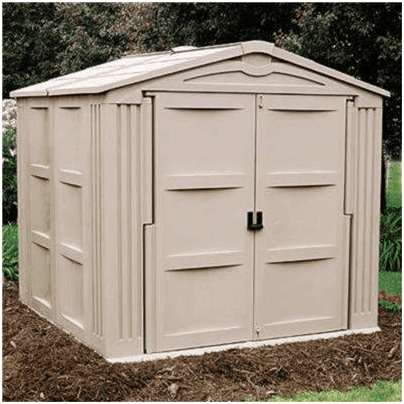 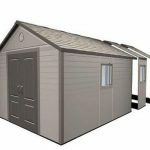 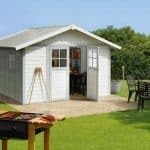 Complete with a UV resistant durable resin, this Suncast Bollington plastic shed is completely maintenance free and weather proof. 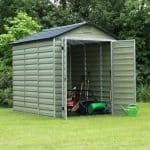 It has a useful stay dry design and will keep your garden tools and other equipment clean and dry in all weathers, The construction is strong and durable and it has plenty of storage space. 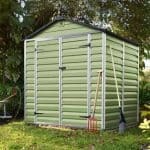 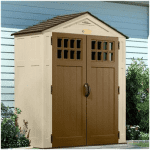 Not only is it an excellent storage solution, it looks good and is sure to turn a few heads in your garden.